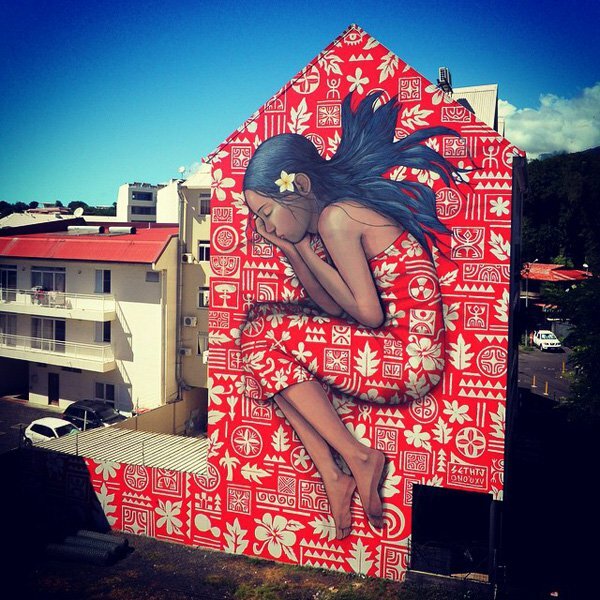 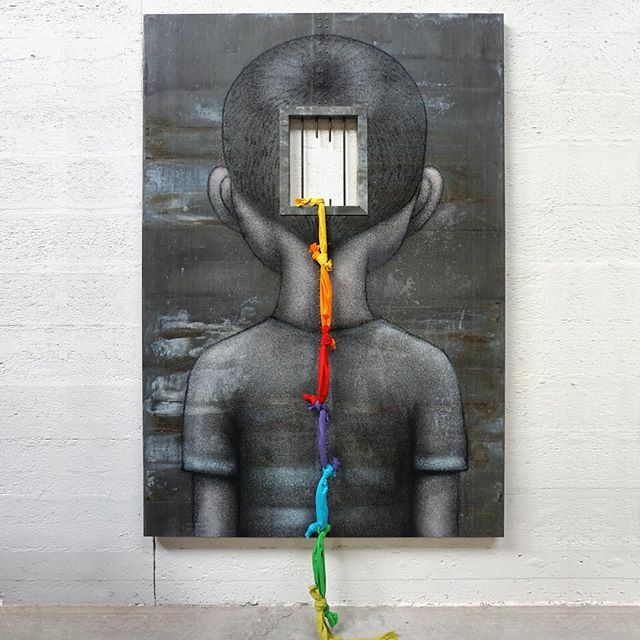 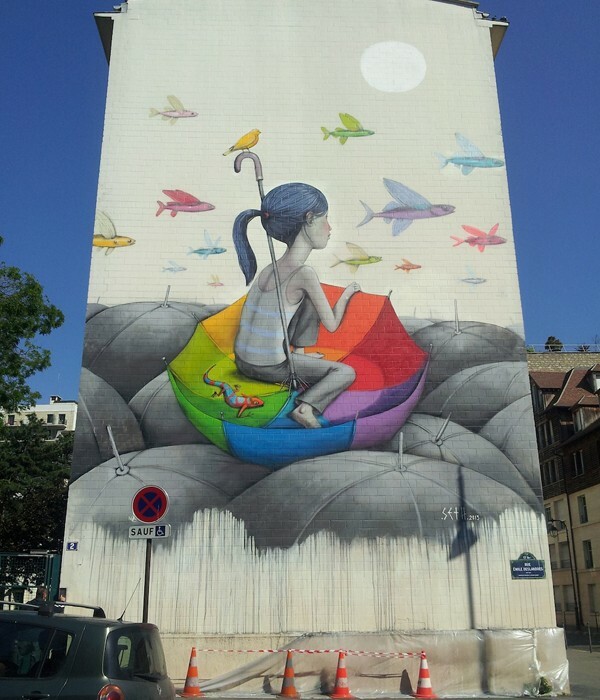 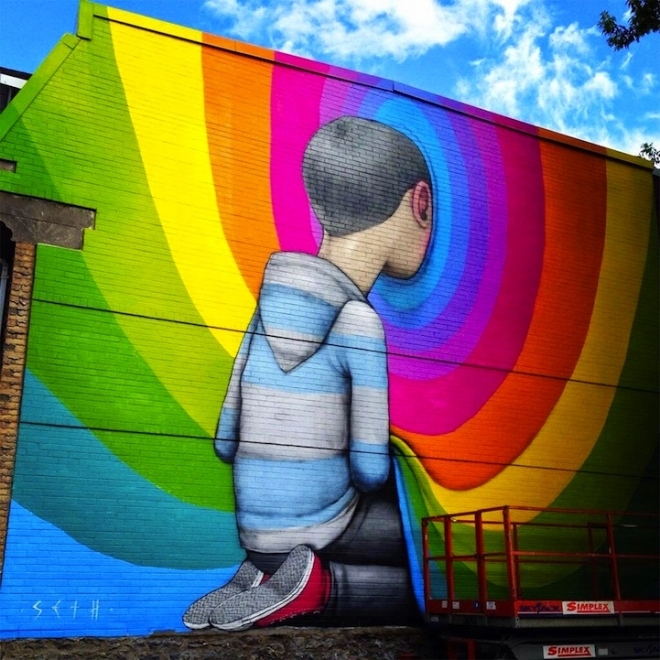 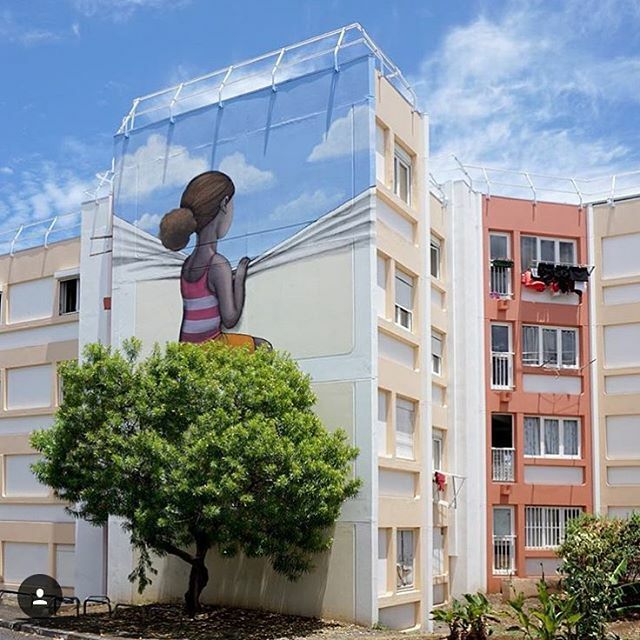 Street Art: Seth Globepainter is french street artist and his original name is Julien Malland. 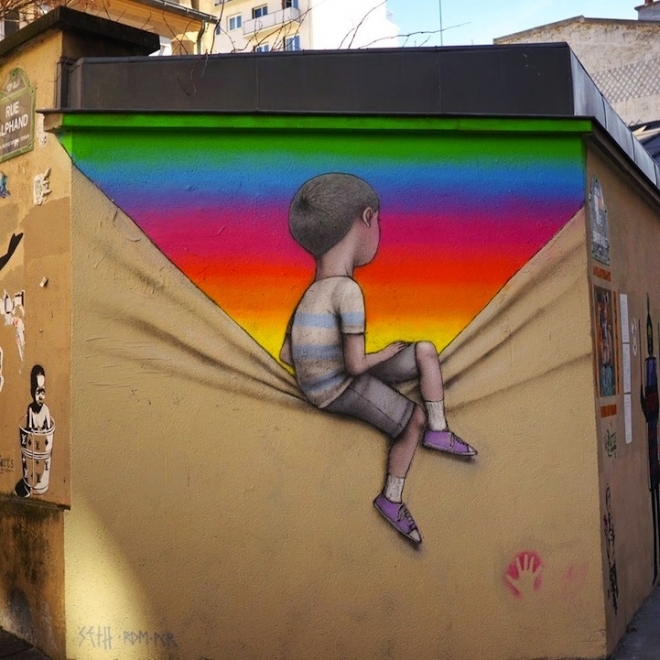 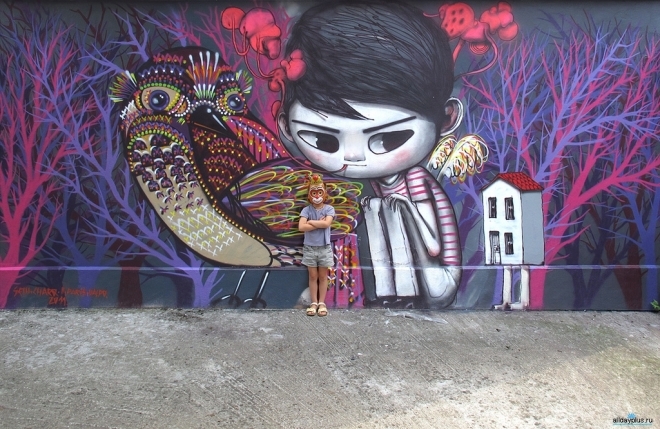 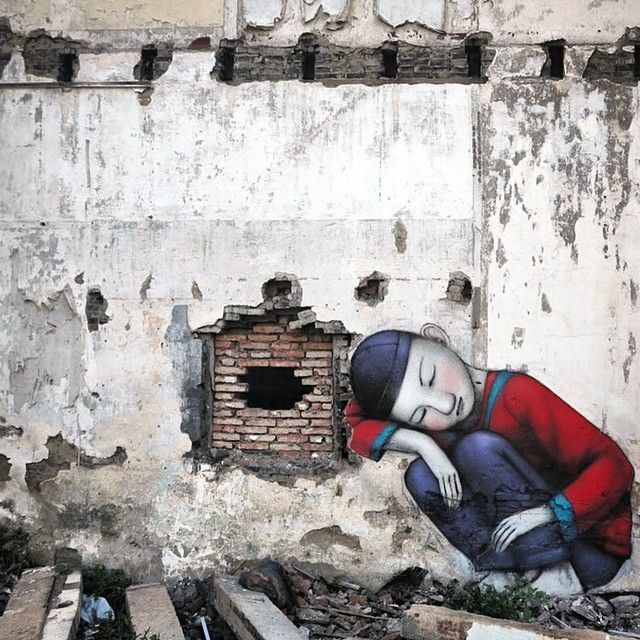 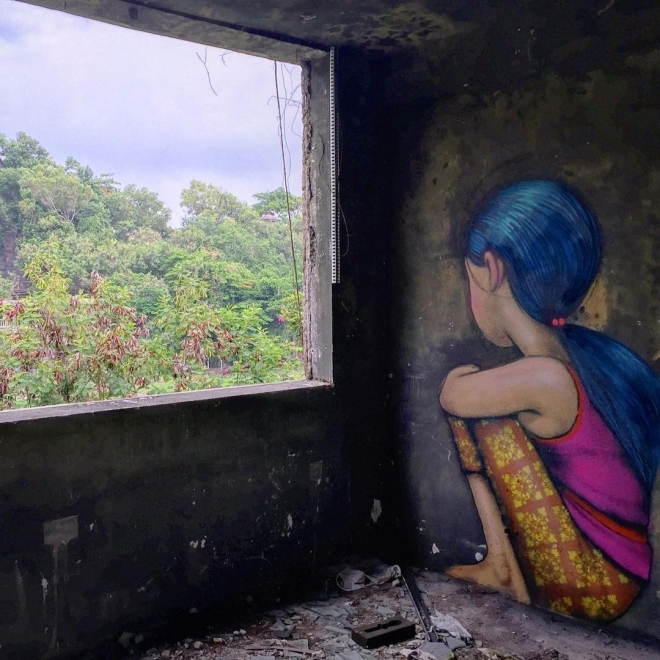 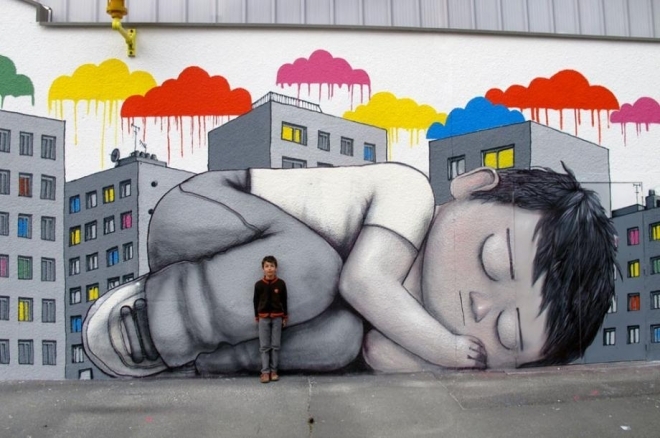 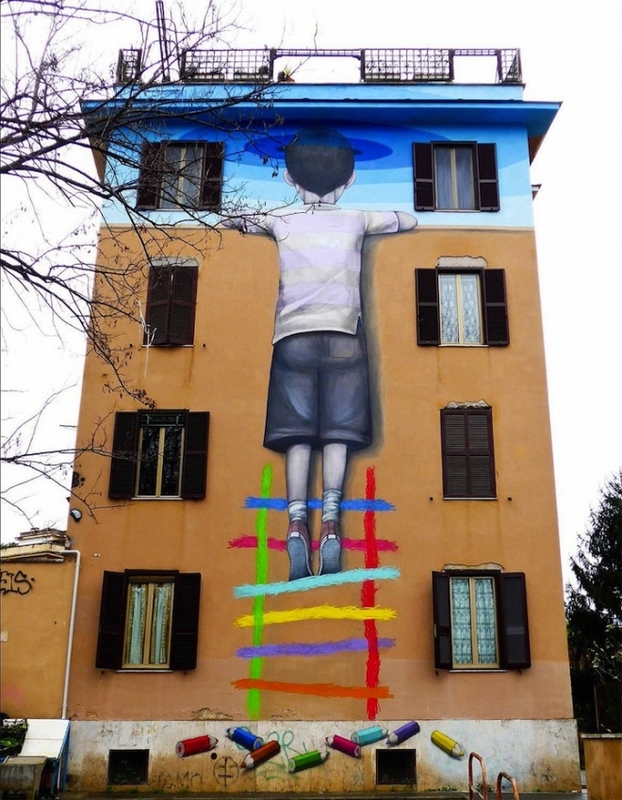 His street art is very bubbly and full of colors, he mostly draws of children on old unused buildings or walls. 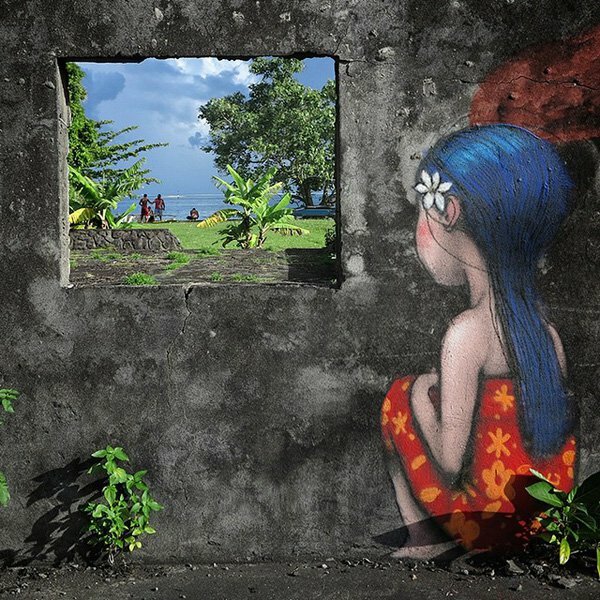 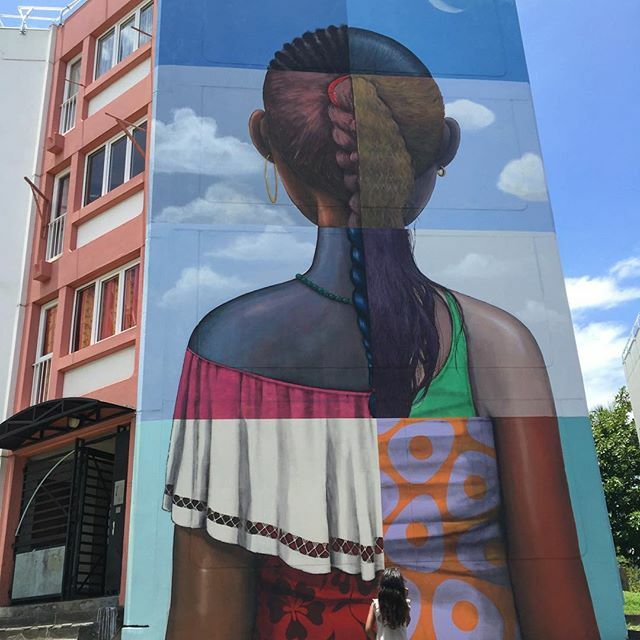 His street art is found in many parts of the world and because of his colors, it gives a new look to the otherwise boring old walls. 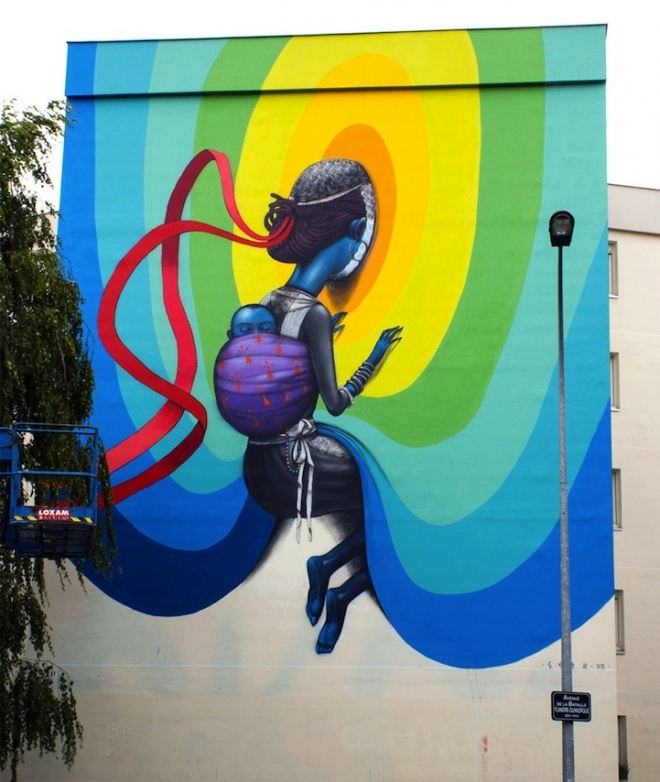 Serh Globepainter was born in Paris and he started his street art from the 90's. 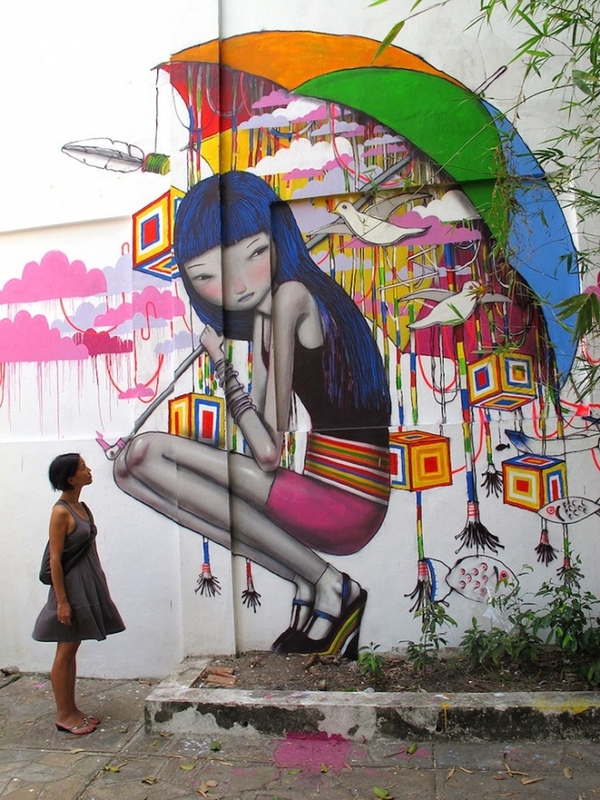 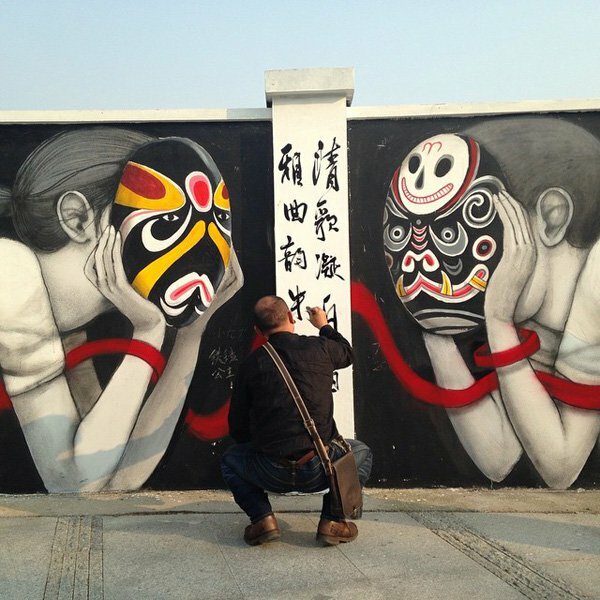 He has also written and published two books on street art and also about where he went globe trotting. 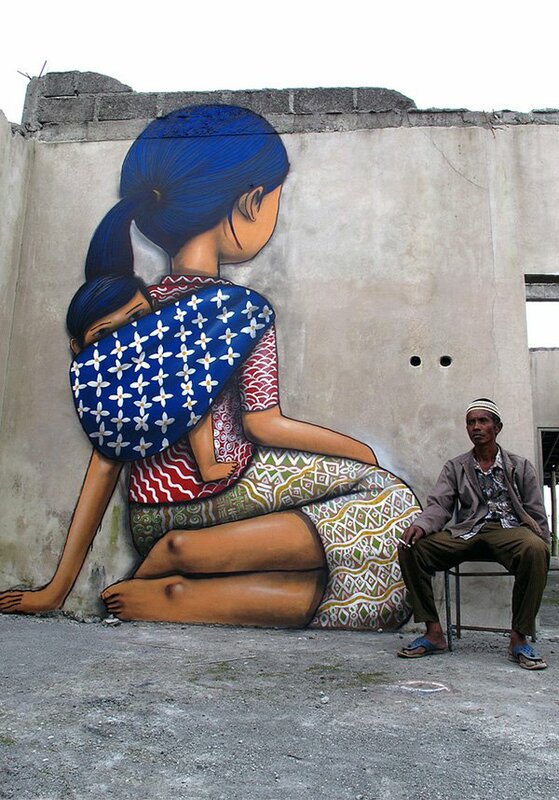 His street art is inspired from the socio environment he currently works. 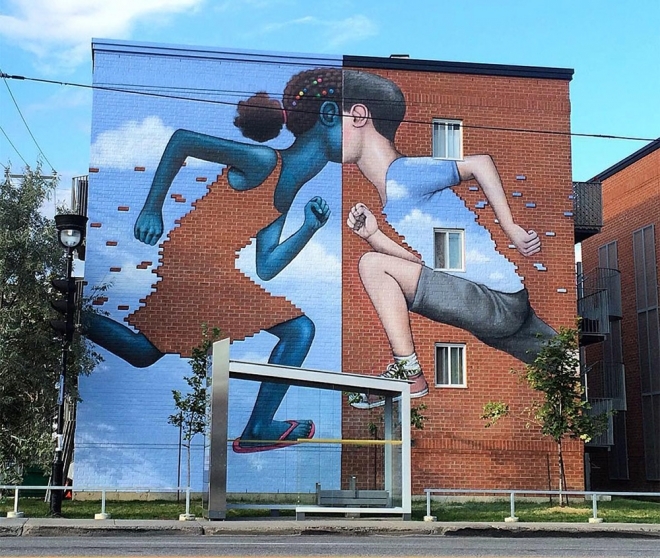 Sometimes it takes him as little as three days to a week to finish his masterpiece. 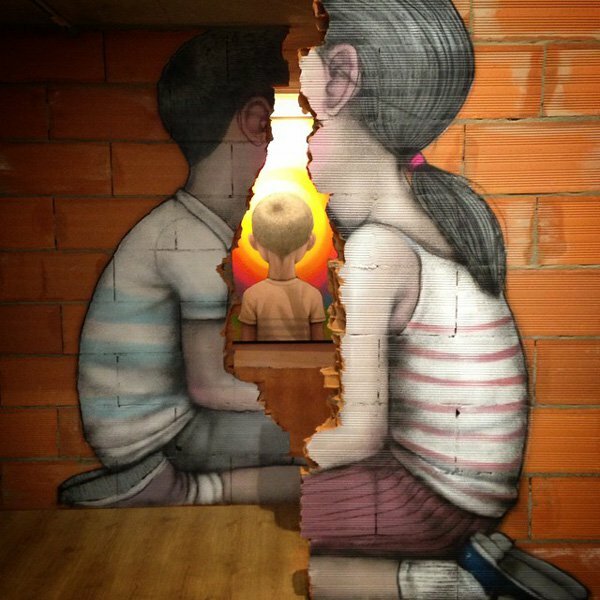 Most of his subjects seem to be facing away from the viewer and the children are found to be staring at a beautiful burst of colors or rainbows. 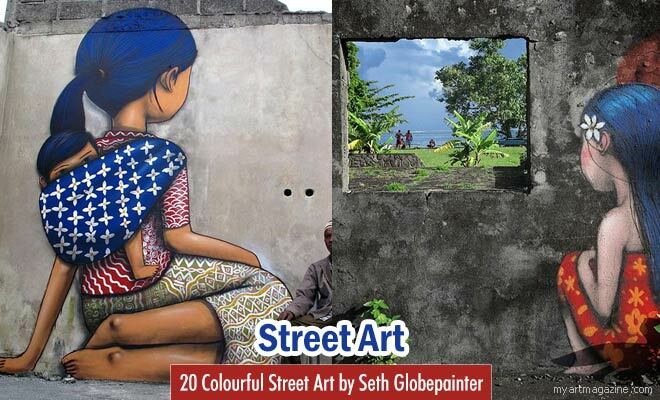 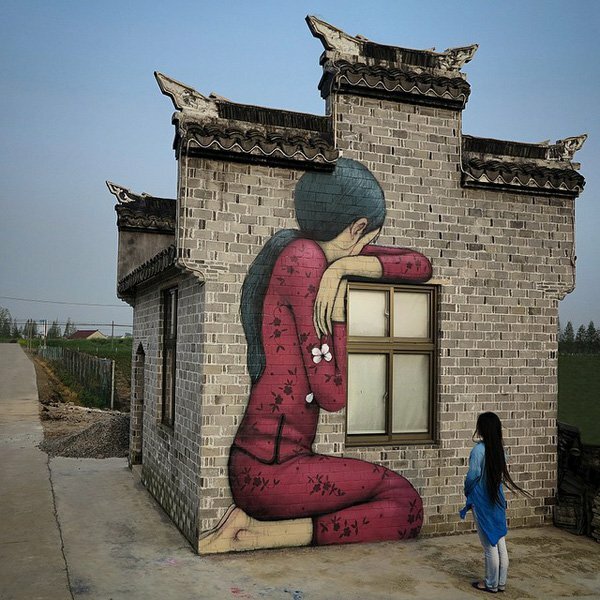 Enjoy this beautiful street art works of Seth Globepainter and be amazed.